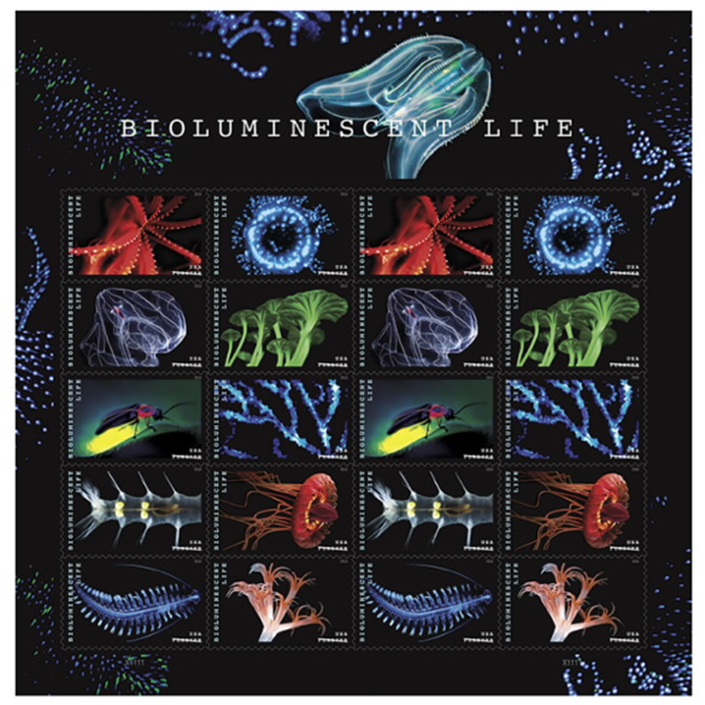 The diverse and beautiful world of deep-sea bioluminescence is featured in a series of postage stamps produced by the United States Postal Service in 2018. Bioluminescence is characterized as the production and emission of light by living organisms. This process is found across phyla, from deep-sea corals to fireflies. The collection of stamps includes photos of 10 organisms that display bioluminescence. Photos by MBARI Senior Scientist Steve Haddock and MBARI Adjunct Edith Widder are included on the stamps. Haddock’s contribution was a photo of Tomopteris—an agile polychaete worm that lives at depths down to about 2,500 meters (1.5 miles), and is a voracious predator of other midwater animals. Tomopteris is unusual in that it makes yellow light, instead of the typical green or blue bioluminescence created by most marine organisms. Yellow bioluminescence created by Tomopteris worms. Photo by Steve Haddock. Team studies coral bleaching resulting from climate change, and how the coral recovers from such catastrophic impacts.